I’m a big fan of storage solutions that double as decor. When you have a pretty collection, why not display it proudly instead of hiding it away in cabinets and drawers? I’ve embraced open storage in most areas of our house (with our dishware, my craft supplies, jewelry, etc.) but up until now, we’ve always kept our wine in a cabinet. 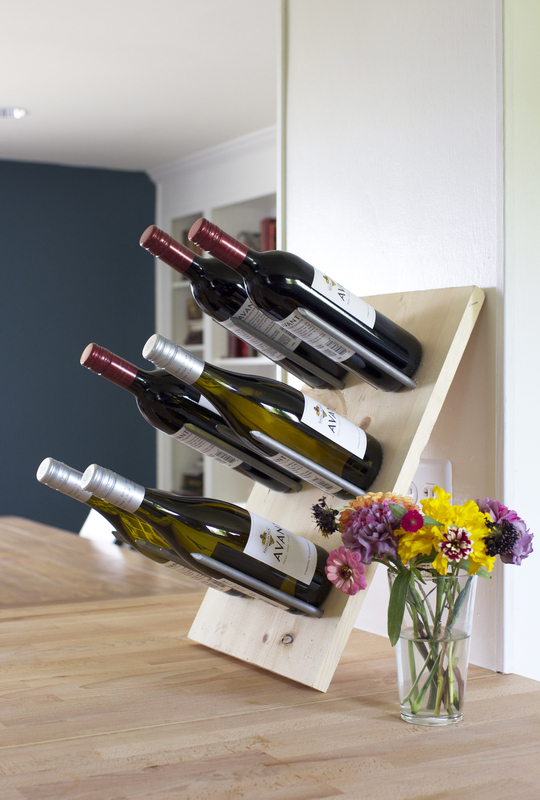 This past weekend, I decided it was time that we built a wine rack. After all, wine bottles are definitely pretty enough to be displayed, and this way it’ll be easy to keep track of what we have on hand! 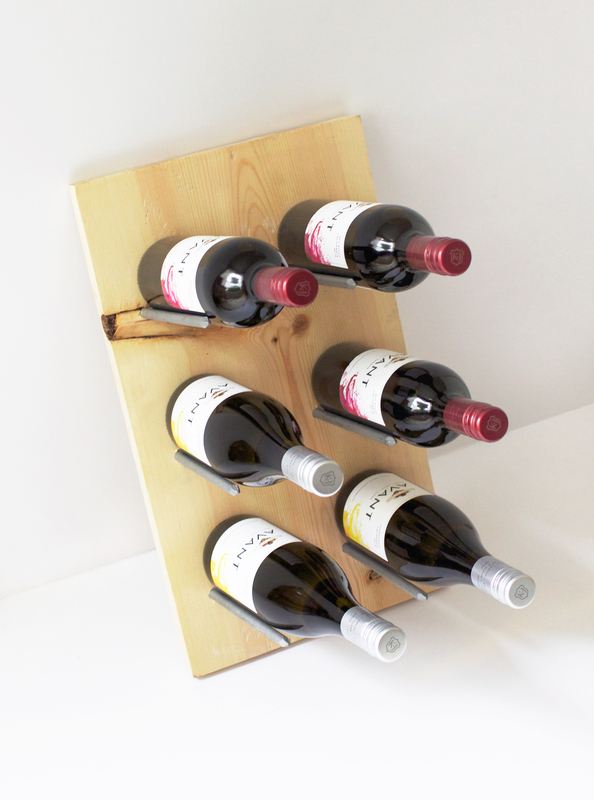 I’m really happy with how our wine rack turned out, and best of all it was really quick, easy and affordable to make. 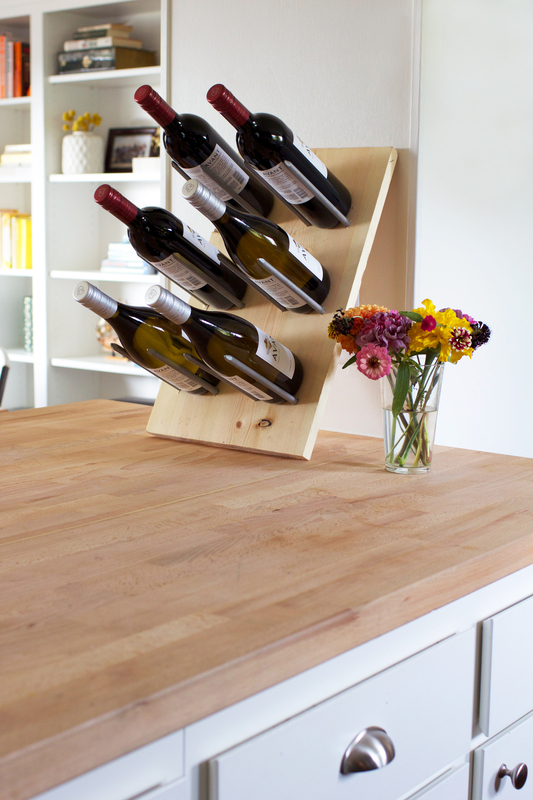 This is also a project that’s totally customizable to fit the size of your own wine collection. So I’ll share the measurements I used, but feel free to make your rack bigger, smaller, or with different proportions–whatever works for your needs! 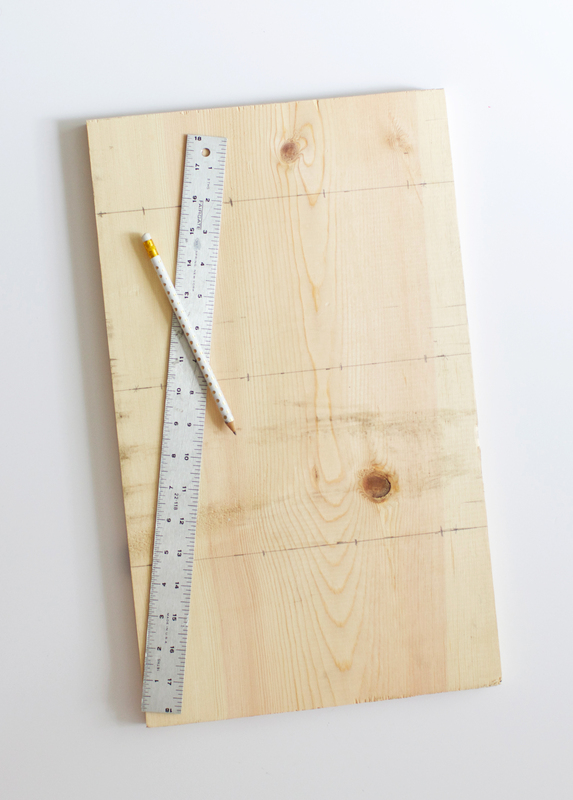 A wood board cut to size (I did 11.5″ x 18”). 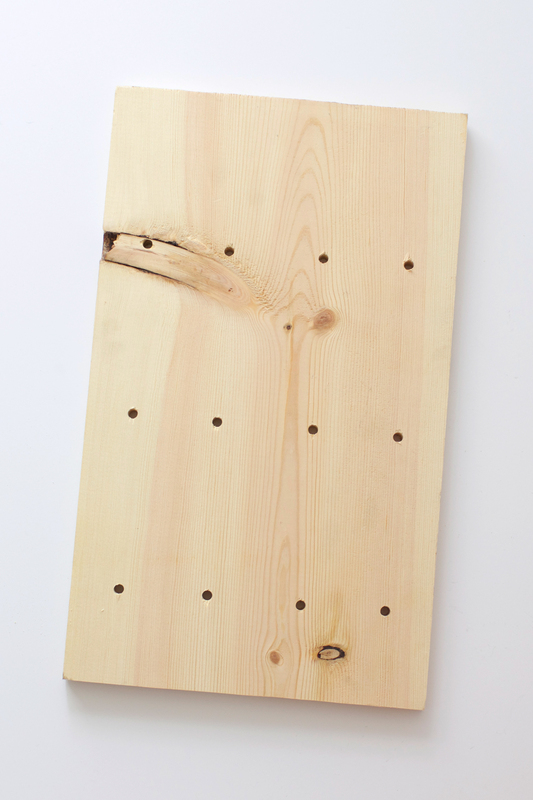 Plan out where to place each nail. I measured the diameter of a few different wine bottles (pear-shaped bottles and more slender ones) and decided to do 2.75” inches between each nail. 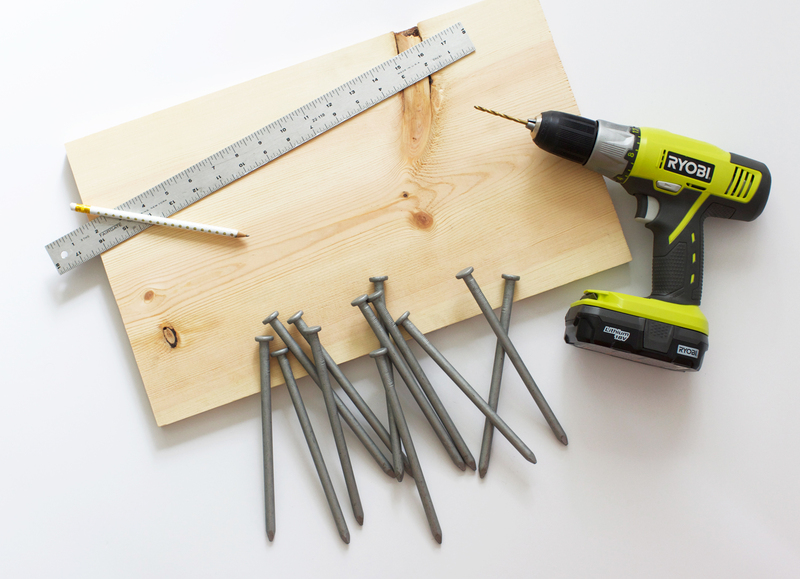 Drill your holes, using a drill bit that’s slightly smaller than the diameter of your nails. Hammer in the nails. 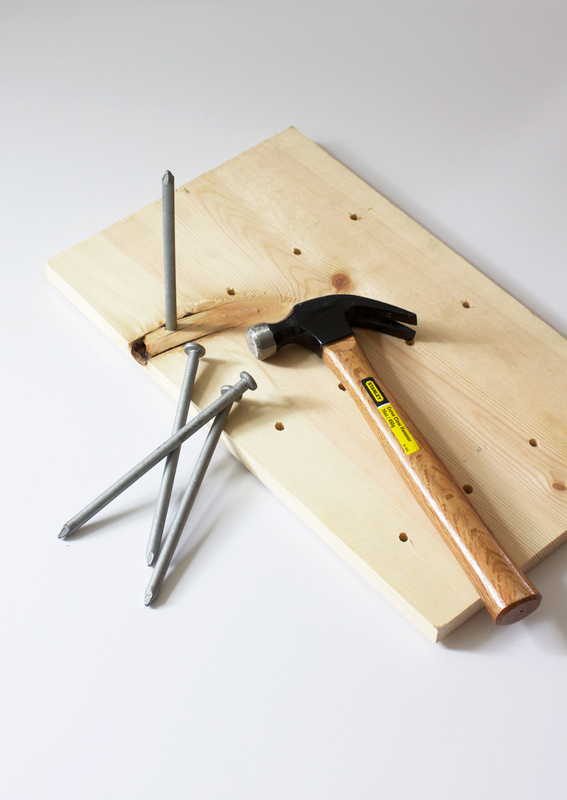 If you’re planning to wall-mount your rack, angle the nails up a little when hammering them. 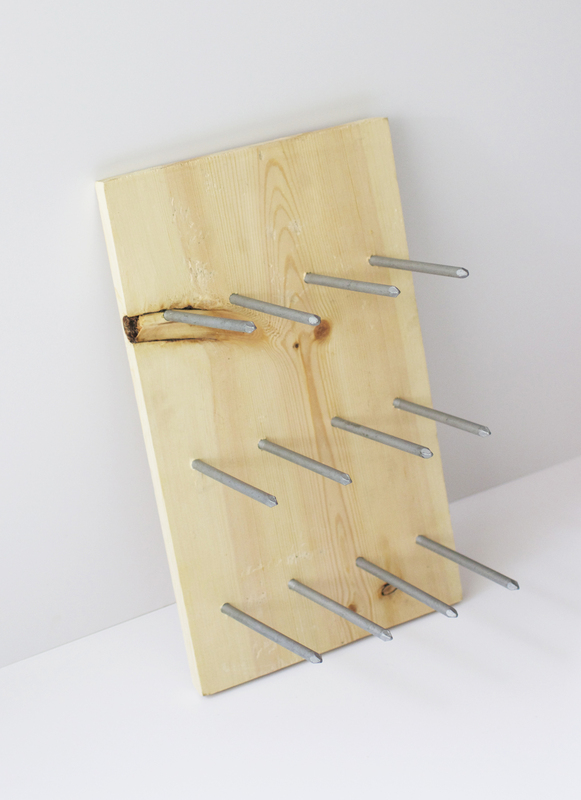 Either mount your rack on the wall or simply lean it. My husband told me it looked a little like an ancient torture device at this point, but once I put the wine bottles in we were both really happy with how it looked. That’s it! 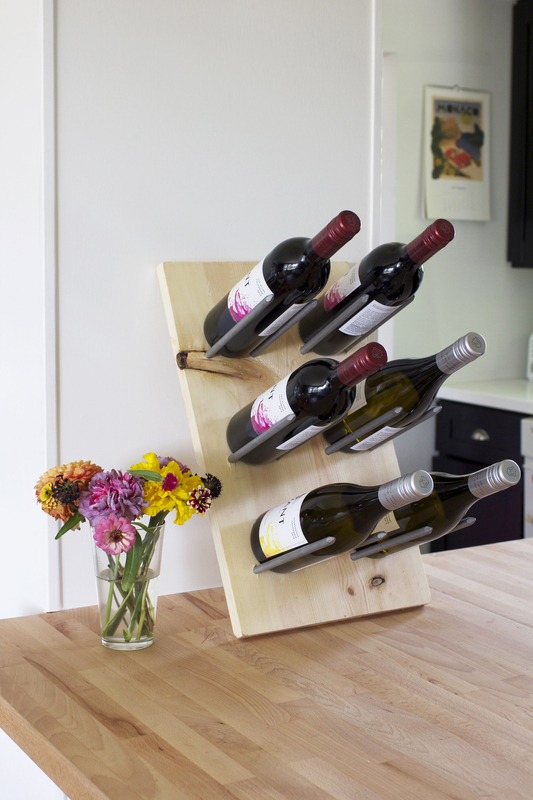 Easiest DIY wine rack ever, right? I love how simple, modern and clean it looks. It really lets the wine bottles be the stars of the show!